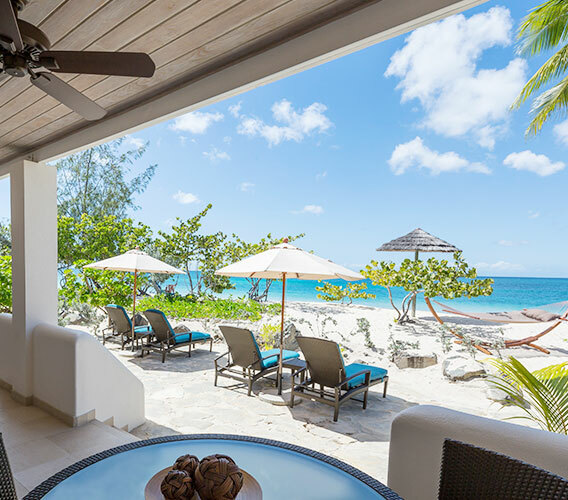 Tucked along world-famous Grand Anse Beach, Spice Island Beach Resort’s 64 beachfront suites are beautifully furnished retreats with stylish contemporary Caribbean décor, breezy exterior terraces and private lawn gardens dotted by lemon, almond and sea-grape trees. 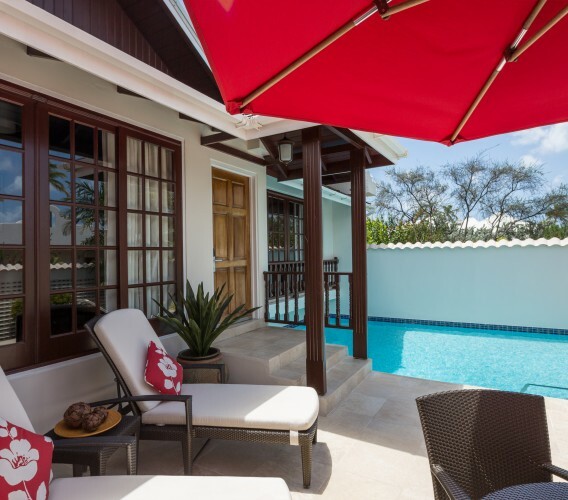 Many have private plunge pools, outdoor dining terraces and four-poster canopy beds. Spice Island Beach Resort is proud to offer a 100% smoke-free environment. Cigarette and e-cigarette smoking is prohibited in guest rooms and all public areas. 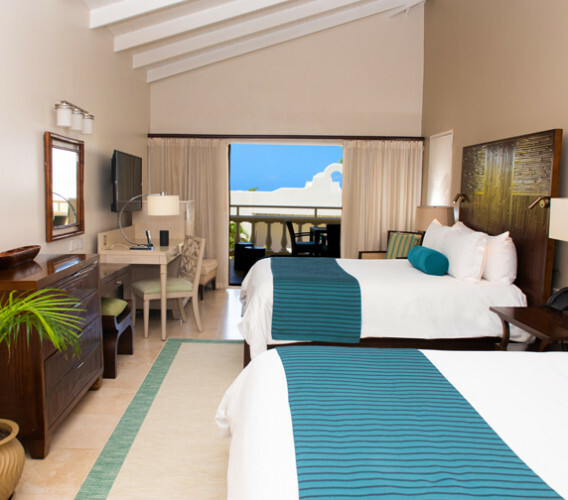 Ideal for a romantic getaway or a family vacation, the resort's oceanfront Royal Cinnamon and Saffron Beach Suites exude fresh contemporary Caribbean style. Measuring 1,440 square feet, these extraordinary suites feature private patios, living rooms with wet bars, a Master bedroom with a floating four-poster bed which looks out onto the ocean. Straight out of a Caribbean storybook, our premium, 1,500-square-foot Royal Collection Pool Suites are a fairytale come true. Features include cedar saunas, large private pools, gardens and marble bathrooms with deep soaking tubs. 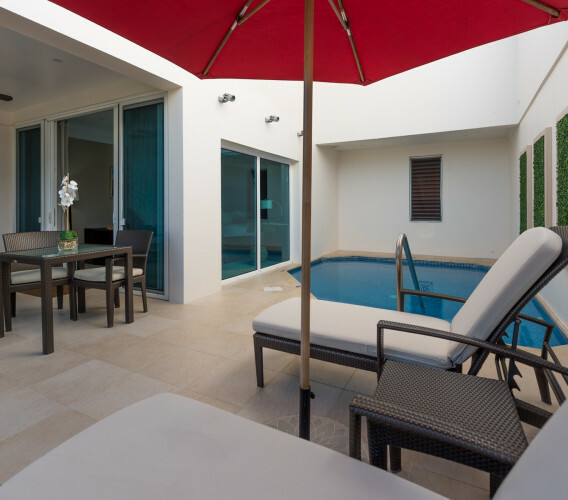 Our Luxury Almond Pool Suites measure 1,500 square feet and feature a large private swimming pool and outdoor terraces for dining and sunbathing. Spanning 1,200 square feet, our romantic Anthurium Suites feature private entrances and personal gardens, as well as plunge pools and inviting outdoor terraces for dining and sunning. 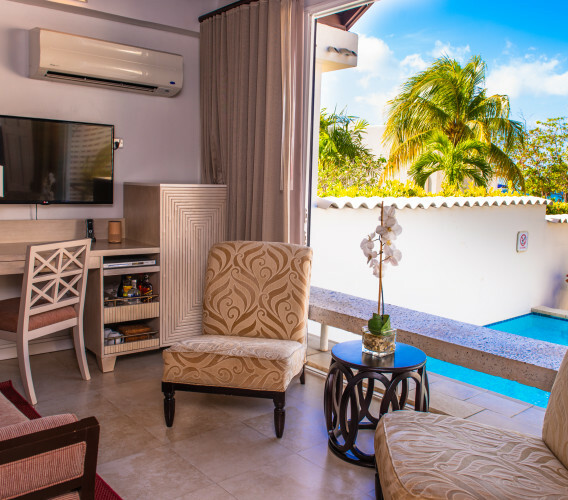 Situated directly on Grand Anse Beach, our 720-square-foot Seagrape Beach Suites offer the rare opportunity to step out onto one of the world’s most famous beaches. 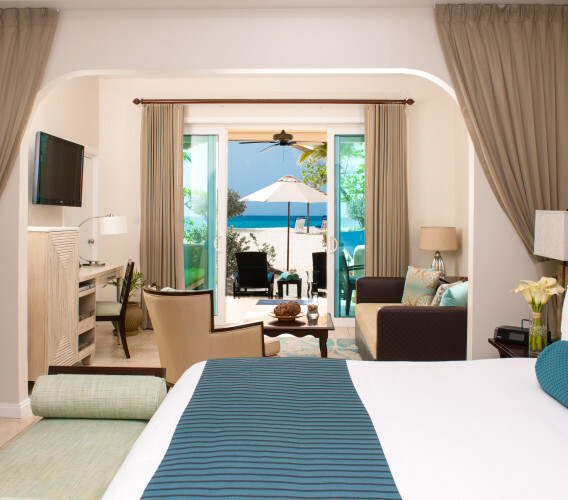 Each of our 620-square-foot Oleander Garden and Oleander Superior Garden Suites features a beautifully furnished indoor and outdoor living area. Suites are available with one King bed or two Queen beds.